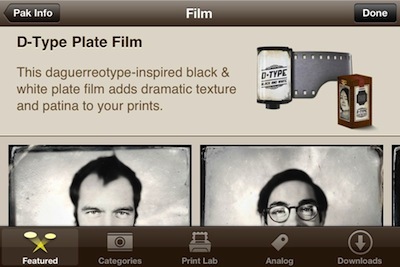 The iPhone camera app Hipstamatic has received a new film and flash updated called Tintype. 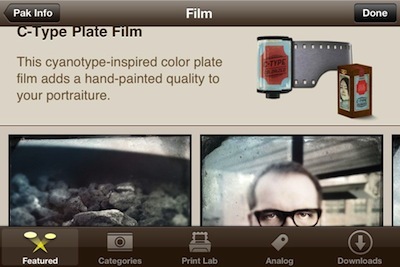 The additional two vintage films and single lens are available via a 99 cent in-app purchase as a new SnapPak. 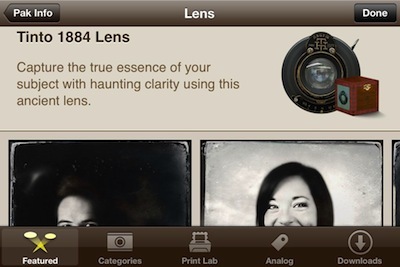 The group offer a new take on black and white photography for the iPhone. One film leans towards the look found in a police mug shot while the other gives the effect of early photography colorization prior to color film photography. 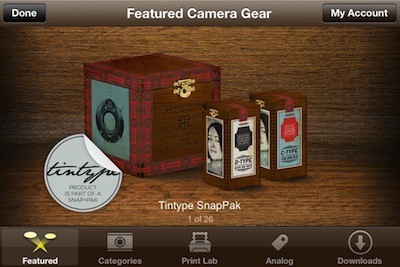 The new Tintype SnapPak should prove popular with folks using the Hipstamatic app on their iPhone where more than just a lack of color is required in a photograph. The films and flash are all about setting a mood for the photo’s viewer similar to what was found in an old Kodak Brownie camera.